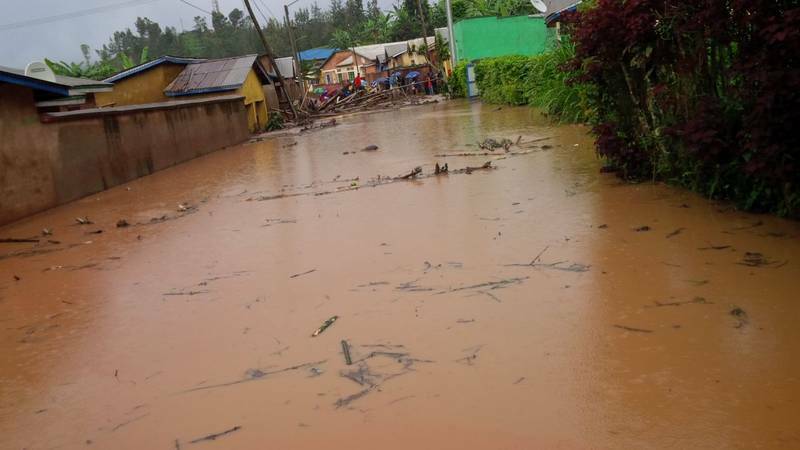 At least 41 people were killed and more than 160 others were injured across Rwanda by disasters triggered by heavy rains since March, Rwanda's Ministry of Disaster Management and Refugee Affairs said on Monday. The disasters also killed more than 600 animals, destroyed property including school structures, more than 3,000 houses and more than 1,700 hectares of plantations, said Philippe Habinshuti, director of disaster response and recovery of the ministry. The destruction and deaths were mainly caused by floods and lightning, Habinshuti told media. Relief efforts are ongoing but the government appealed to residents living in high-risk zones to relocate to safer areas, he said. In 2017, disasters caused by heavy rains killed 82 people and injured 151. More than 5,000 houses were destroyed while over 5,000 hectares of different plantations were also ruined.